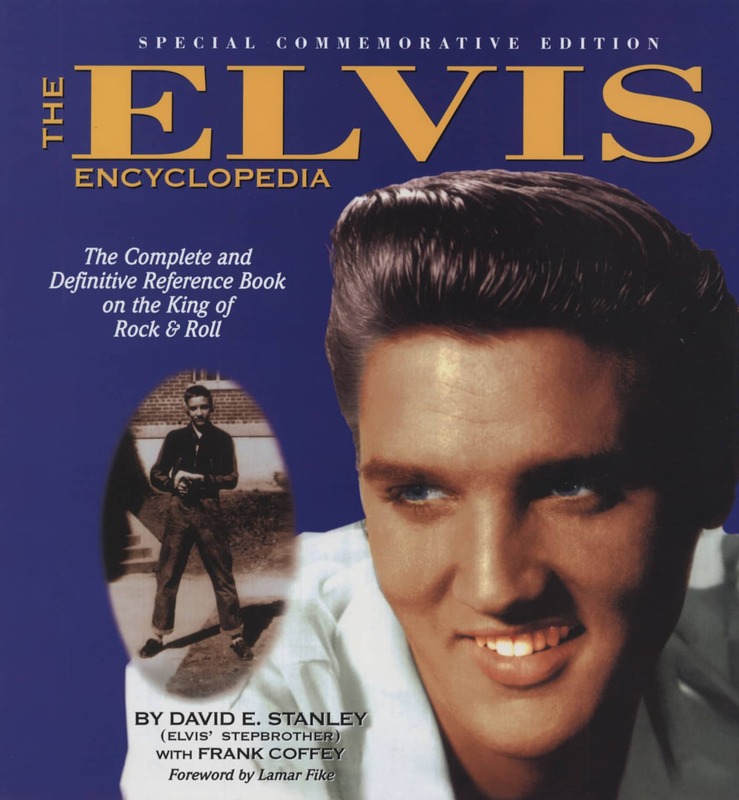 (JG Press) Hardback, 26x24 cm, 288 pages , 1,4kg. 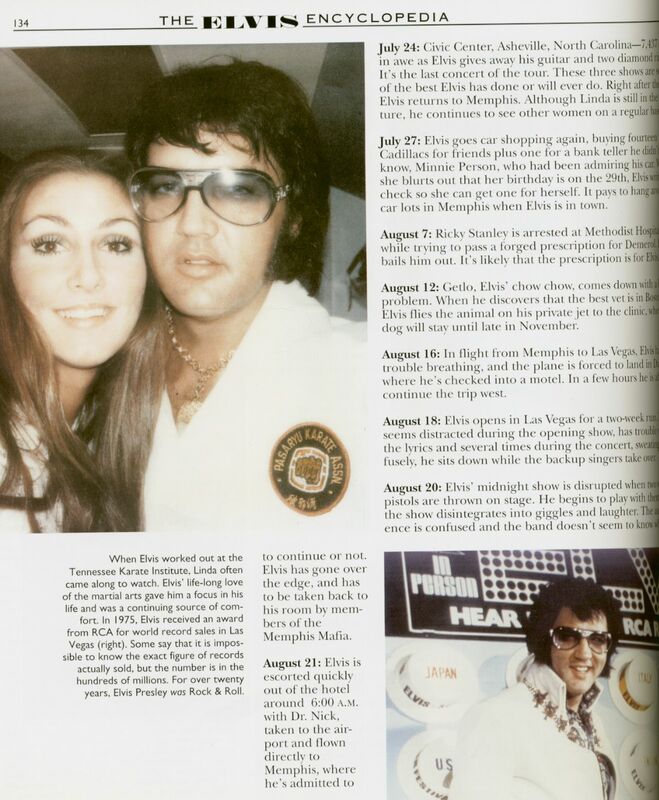 The most powerful performer in rock history, international hero to young and old alike, Elvis Aron Presley is arguably the most famous performer, and perhaps the most famous person, of the twentieth century. 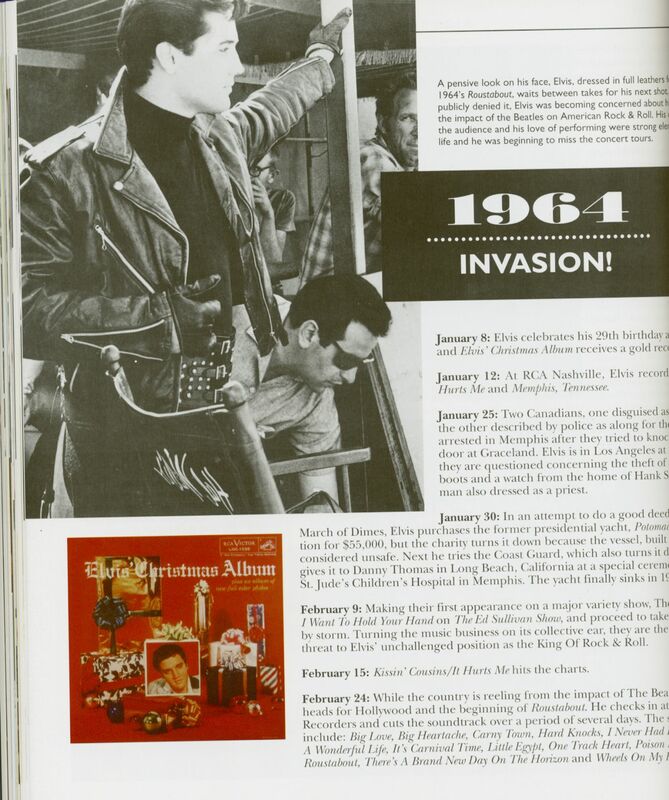 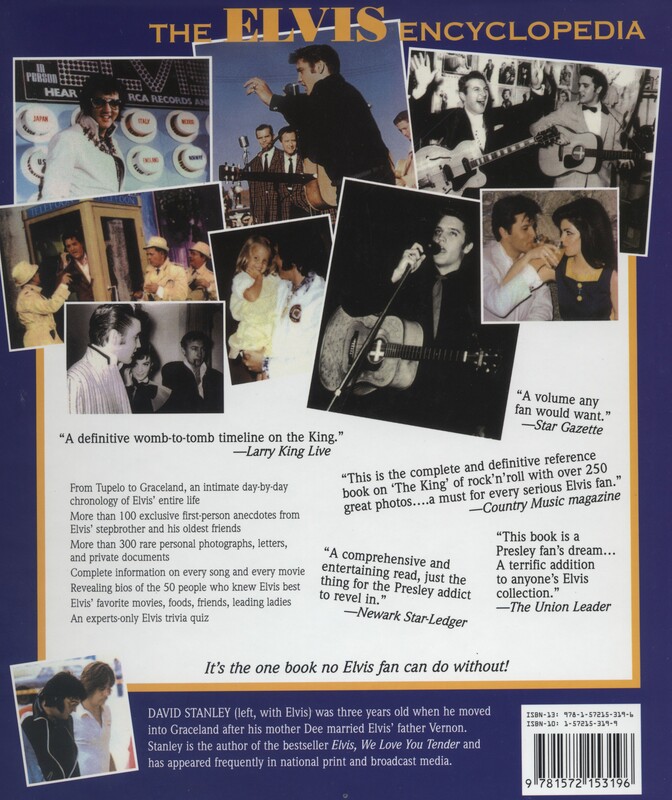 Written by Elvis' own stepbrother and filled with revealing and emotional first-person anecdotes and insights, "The Elvis Encyclopedia shows for the first time the whole flesh-and-blood man that the world knew as a legend. 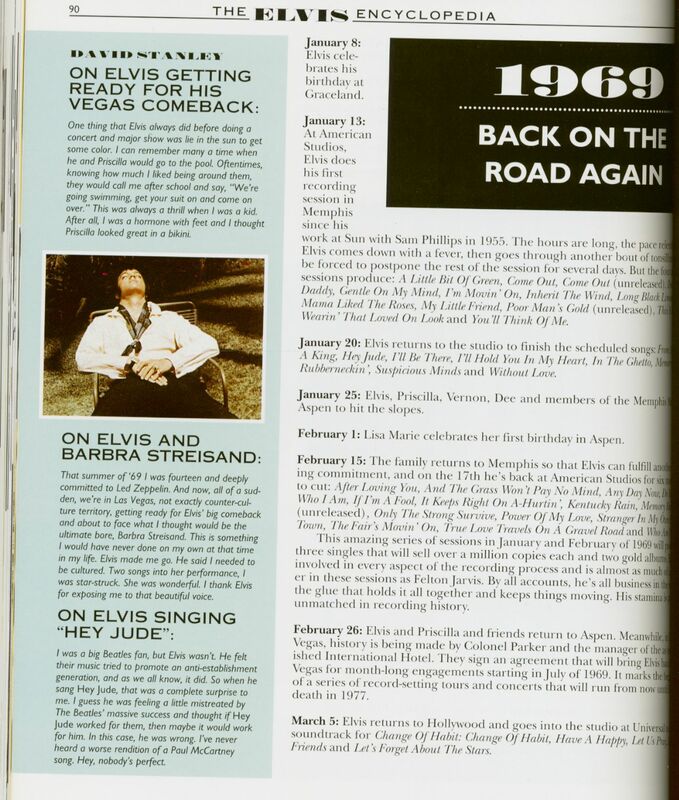 "From Tupelo to Graceland, an intimate day-by-day chronology of Elvis’ entire life More than 100 exclusive first-person anecdotes from Elvis’ stepbrother and his oldest friends More than 300 rare personal photographs, letters, and private documents Complete information on every song and every movie Revealing bios of the 50 people Who knew Elvis best Elvis’ favorite movies, foods, friends, leading ladies An experts-only Elvis trivia quiz"
Customer evaluation for "The Elvis Encyclopedia - The Complete and Definitive Reference Book on the King of Rock & Roll by David E. Stanley"